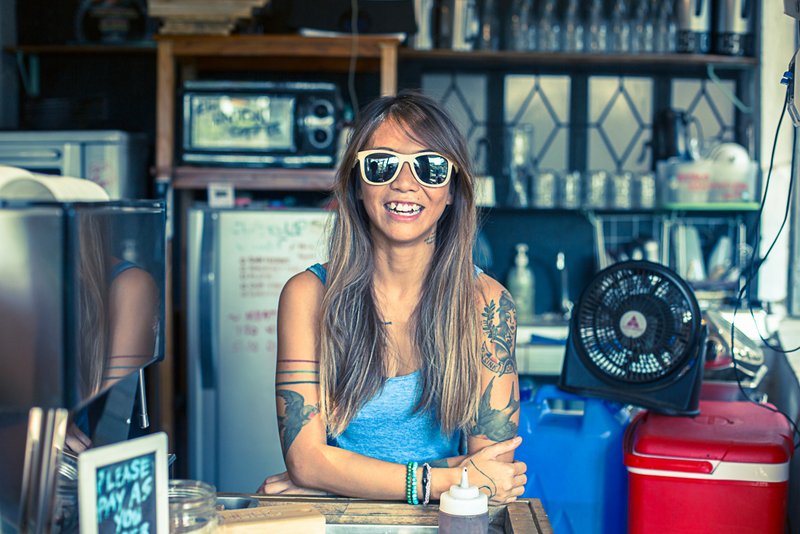 UDDO Sunglasses from Exposure Media Productions on Vimeo. We decided to try something a little different for this project. I decided that it might be a good idea to shoot the whole video on a Go Pro recreating a sort of video that someone might upload to youtube when they go on a trip. The guys at UDDO were all on board and so we started the logistics of organizing the shoot. 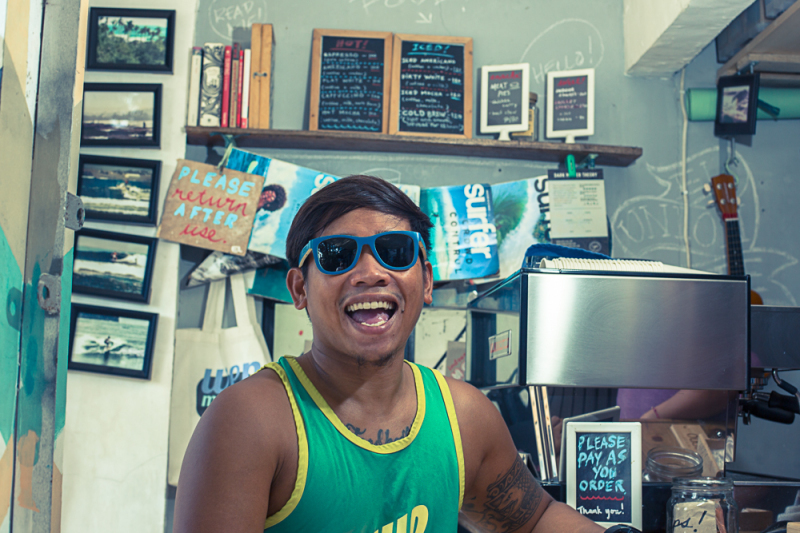 Firstly we had to identify our surfers as we planned to shoot the video in San Juan La Union. Thankfully Elaine of Surfista Travels came to the rescue and suggested the lovely couple of Harold and Camille. They have made the enviable move out of Manila to relocate to La Union and really are living the beach life. 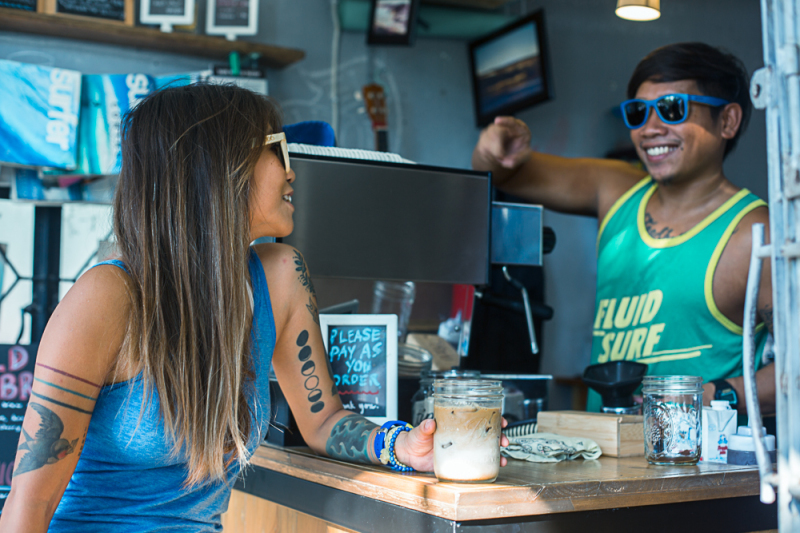 They surf every chance they get, make fantastic coffee at El Union Coffee and do graphic design project work remotely. Yep they are living the dream. Their laid back vibe was exactly what we were looking for in the video and photoshoot. The idea was to take the viewer on a journey out of the city and into the water. So after a few experiments looking like an idiot driving around Manila wearing a GoPro on my head we were ready for our trip up North. The timelapse came out well and we were lucky with the weather with blue skies and not too much traffic. 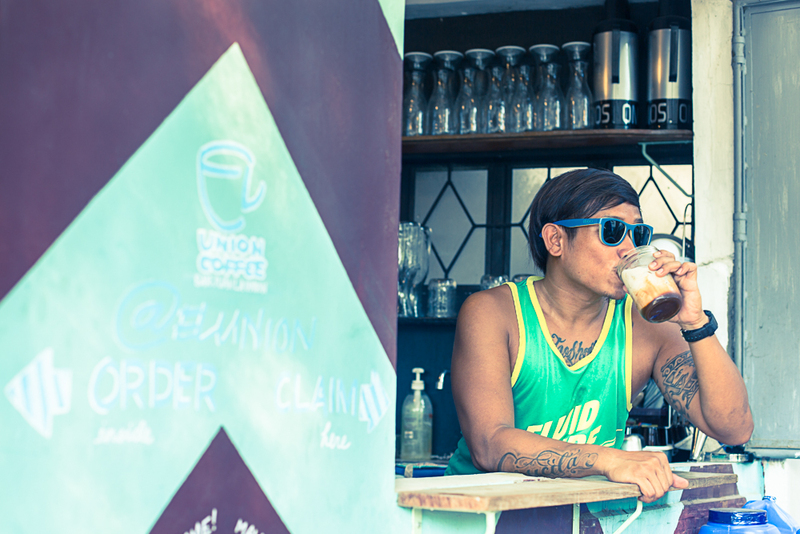 Once arriving in La Union we started off with a quick photo shoot at El Union Coffee any excuse to get a shot of caffeine! It was all very casual just Camille and Harold doing their normal thing drinking coffee and hanging out with a little direction every now and again. After a lovely coffee we headed to the beach and to shoot the beach and water sequences. We had a little shot list and worked through it with and Camille and Harold. Luckily they are as laid back as they look and they seemed to have plenty of fun messing about with a paddle board in the very calm water as the sun set. As we finished up shooting in the water we got Camille and Harold to do a couple more shots on the beach and we were wrapped. Due to the location and the talent (Camille and Harold) it was easily one of the most relaxed and enjoyable shoots I’ve been on in a while and even better the folks at UDDO love the final video. Thanks to Harold for providing his own surfing clip that we’ve used in this video 0:28 – 0:39. THANK YOU!! !